12” of fantabulous melty goodness sandwiched in handmade crust. 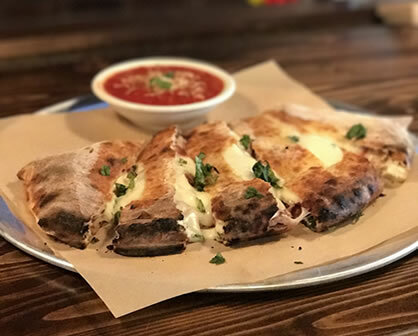 Our signature calzone is stuffed with mozzarella, asiago & ricotta cheeses + Italian sausage, red pepper, spinach & pesto. We serve it up with marinara for dipping.